Her major interests lie in contemporary twentieth century works and in J. S. Bach's keyboard music. 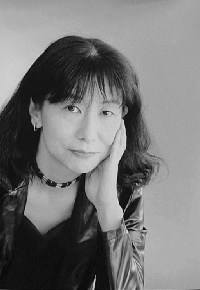 She began her recital series "The Piano Music of the 20th Century" in 1993, where she performed numerous piano works by K. Stockhausen, I. Xenakis, J. Cage, and T. Takemitsu, among other contemporary composers. Since 1998, she has continued her "Kondo Nobuko Plays Bach" series, which has till now covered almost all of J. S. Bach's soloistic keyboard works. Her recital featuring " Well-Tempered Clavier I" in 2000 was highly acclaimed. In 2014, she became the recipient of the Arts Festival Excellence Awards from the Japanese Agency for Cultural Affairs, for her interpretation and performance of "Natürliche Dauern" by K. Stockhausen. She has released several CDs as listed below, among which "KONDO Nobuko Plays J. S. Bach - Musikalisches Opfer" was nominated as "The Best Music Disk of the Month" by Record Geijutsu Magazine in 2015. She has studied under eminent teachers like Hatsuko Inoue, Yoshie Kohra, Kazuko Yasukawa, Hitoshi Kobayashi, and Klaus Hellwig.